Sometimes our children do things we don’t understand. If your child has been caught with drugs at school, you might be feeling angry, confused, and heartbroken. The best thing you can do is keep a level head until you know how your family is going to deal with this crisis. Our Grand Rapids drug defense attorneys will make sure your child understands the full consequences of being charged with a drug crime and what they should do moving forward. We are here to help through what can be a very difficult time. Please contact us if you have any additional questions. Does your middle or high school student participate in sports or other competitive extracurricular activities? If so, they may be subjected to random drug testing due to a 2002 ruling from the US Supreme Court. This law was put in place to catch drug use in minors as soon as possible so they can get the help they need to overcome addiction. Random drug testing is also an incentive for students to not give into peer pressure to do drugs. 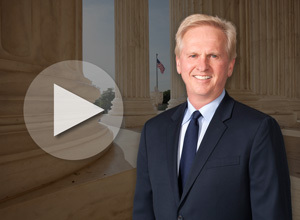 Our drug defense attorney can help your child understand what to expect and how to prepare. By hiring our drug crime attorney, you’ll be able to give your child the best chance of a better future life. Not only will our drug defense lawyer fight aggressively for your child’s rights, but he’ll also make sure your child understands the long-term consequences of substance abuse. 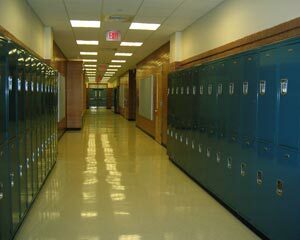 Lockers and desks are considered school property, which means they can be searched by the school at any time without having to notify you or your child. The school may also give police permission to search and seize any evidence relating to drug use. If your child was recently caught with drugs at school, hire our drug crime attorney as soon as possible to represent their best interests. If your child is being charged for the first time with the use or possession of controlled substances, call our drug defense attorney as soon as possible. As long as your child doesn’t have prior arrests or convictions on their record, they may be eligible for a sentence deferment under Section 7411. This means that your child will be able to avoid having the drug conviction show up on their criminal record in exchange for successfully completing a probationary period. Our drug crime attorney will do everything he can to make sure one mistake doesn’t rule the rest of your child’s life. While your child can only use Section 7411 once, that may be enough to get them started on a better life path that doesn’t involve the use of controlled substances. Our drug crime lawyer will make sure your child receives the best criminal defense. Our Grand Rapids, MI drug possession lawyers are always here for you if your child runs into trouble with the law. To request a consultation with one of ourMichigan criminal defense attorneys, call Beurkens Law at (616) 459-5344.